INLEAD - Job Oriented Program | 100% Campus Placements | MBA and PGDM Programs: Who put the Action in Movies? Who put the Action in Movies? Action movies are becoming increasingly popular among the younger generation and that too all across the globe. People are seemingly in love with action adventure, action comedy, action horror etc. Film industries all around have been entertaining people a lot through their movies, and the genre of Action has been doing good business for the longest time. What is an Action movie? Action movies are those in which characters are involved in a series of challenges such as physical feats, extended fight scene, violence and frantic chases. Action movies represent a character’s struggle against incredible odds as well as risky stunts. At present, CGI (computer generated imagery) have made production of action movies cheaper and direction much easier. Even visual effects (or VFX) can be worked upon with availability of software. In the early decades of the 20th century, all of the above required real professionals, whom we know as stuntmen. CGI have even changed the actions into something that maybe unrealistic and highly unbelievable, yet shown in cinemas. A brief history of action movies. 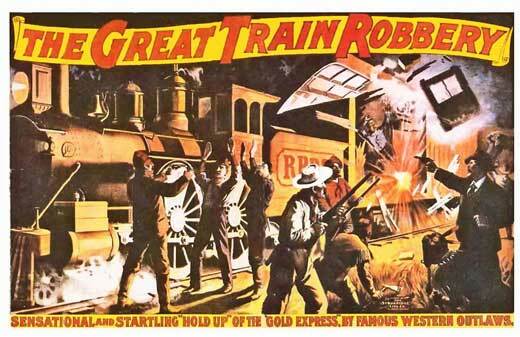 “The Great Train Robbery” was the first action movie said some historian people. During 1920’s and 1930’s action movies became the norm. The 1940’s and 1950’s saw “Action” in a new form through war and cowboy movies. The long-running success of the James Bond series (1960’s) introduced a staple of modern day action films. Action movies have been further expended into different categories such as adventure, comedy, horror and spy etc. 1. Action Adventure- examples are as Indiana Jones or Mad Max etc. 2. Action Comedy- Dumb and Dumber, Big Momma’s House, Bad Boys and Rush Hour etc. 3. Action Horror- Gore, Demons, Vampire, Zombies. 4. Disaster films- Independence Day, San Andreas, Volcano, The Day After Tomorrow. Martial arts, Spy, Action thriller, Science-fiction are some other categories of the action movies. Now the Action movies are loaded with fiction and superhero films with many Marvel comics character’s being used in big budget films. Sylvester Stallone (Rambo), Arnold Schwarzenegger (Terminator), Bruce Willis(Die Another Day), Will Smith(Independence Day), Vin Diesel(Fast & Furious), Angelina Jolie(Lara Croft), Scarlett Johansson(Black Widow), and Jennifer Lawrence(Hunger Games & X Men) are well known actors worldwide. They all have given big action movies to Hollywood. All time highest grossing movie was the Avatar (2009) with a domestic gross of $760.5 million as per 2015. This was soon after in 2015 overtaken by The Fast and the Furious 7. As you read this blog, there are many big action thriller movies coming in Hollywood as well as in the Bollywood industry to make money & for your entertainment. An important disclaimer in Action movies for audience is that “The actions or drama you see are totally done under the eyes of professionals and experts and to not try any of those actions at home, school or any other place as they can harm you as well your dear ones. Just enjoy and entertain yourself with the Action movies and be safe.” Amen to the genre of Action movies!